This job was in the desirable quiet area of Castle Hill. Castle Hill is situated about 30 kilometres north west of Sydney in the Shire of Baulkham Hills. 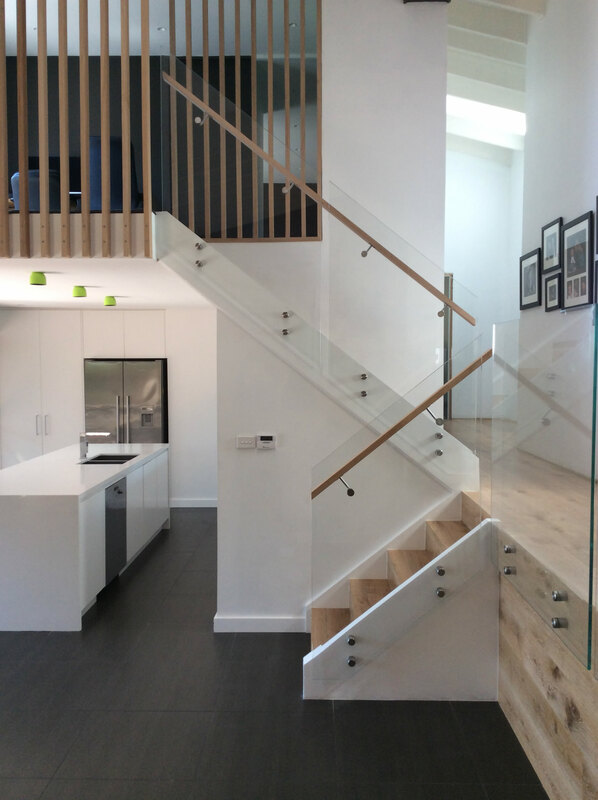 Top Quality Frameless glass custom made balustrade side fixed with round stainless steel standoffs. Tasmanian oak side mounted hand rail. I wanted an interior staircase made out of glass after seeing their advertisements and decided to call Mirage Frameless Glass. 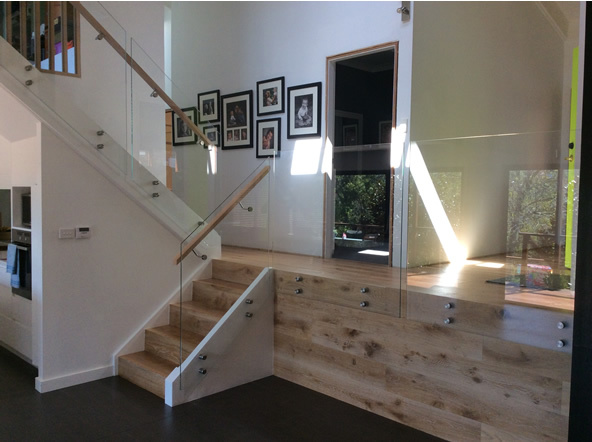 About two weeks after Amon installed the glass balustrade I had some changes to the configuration and Amon was able to accommodate he was excellent. I’m a busy person so I value that this business was trustworthy and punctual.